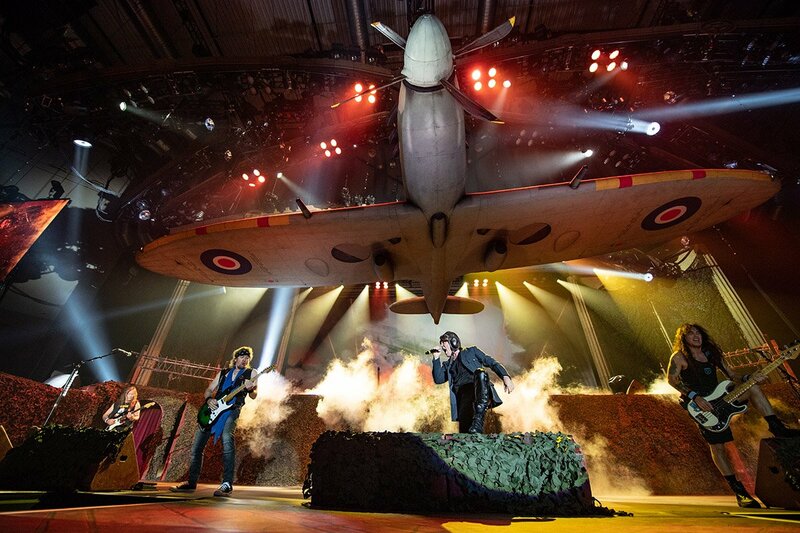 Iron Maiden featured a series of rarely-performed tracks during the opening night of the Legacy Of The Beast summer 2018 European tour in Tallinn, Estonia on May 26, and video from the event is streaming online. “The Beast... was unleashed!”, posted the band after the show. Inspired by their mobile game and comic book of the same name, the 2018 run will see Iron Maiden mix headline shows with festival appearances – including Sweden Rock, Italy’s Firenze Rocks, Austria’s Novarock, Belgium’s Graspop Metal Meeting, France’s Hellfest and Hungary’s Volt Festival, among others. On June 29, Iron Maiden singer Bruce Dickinson will release "Scream For Me Sarajevo", a documentary about a 1994 solo concert in war-torn Bosnia.